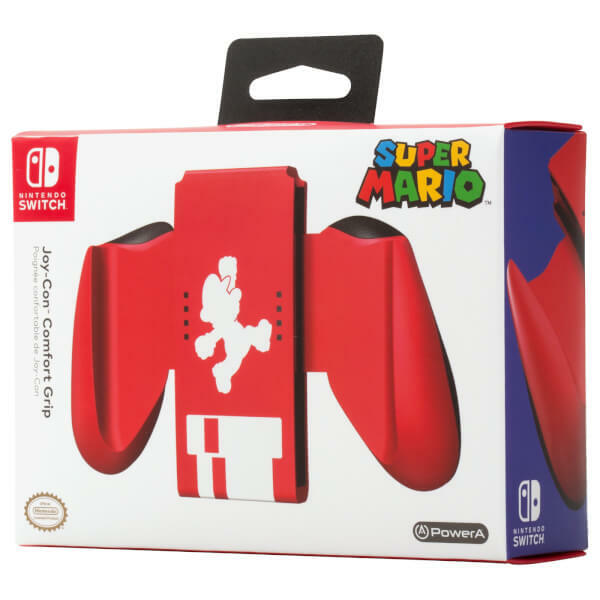 Enjoy your gaming on the move even more with this Officially licensed Joy-Con Comfort Grip, with its lightweight, ergonomic design for comfortable playing wherever you may be. 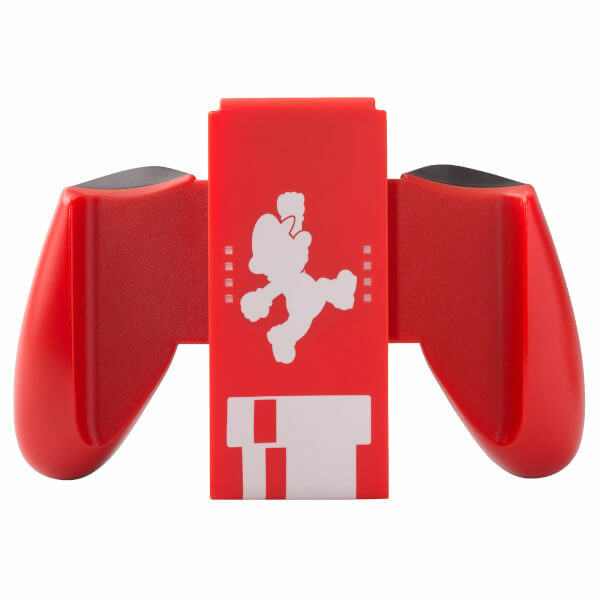 This comfort grip comes in a stylish red and black colour finish, and features a classic silhouette of Mario and a warp pipe. The Comfort Grip brings the left and right Joy-Con Controllers together to make one comfortable controller, so you can play as long as you like. Ergonomic, rubber grips will keep your palms happy and your fingers from cramping at home or on-the-go. Simply slide each Joy-Con Controller down the rails until they click, and view the player indicator lights through the front.